1812: The frigate USS Constitution captures and burns the brig, HMS Lady Warren, off Cape Race, off Labrador, Canada. Within the next 20 years during our lifetime we will be living in a different world ! There have always been the same 3 constants... Death, Taxes and CHANGE! In a recent interview the Managing Director of Daimler Benz (Mercedes Benz) said their competitors are no longer other car companies but Tesla (obvious), Google, Apple, Amazon 'et al' ... Software will disrupt most traditional industries in the next 5-10 years. Every child can use Khan academy for everything a child needs to learn at school in First World countries. There have already been releases of software in Indonesia and soon there will be releases it in Arabic, Suaheli and Chinese this summer. I can see enormous potential if we give the English app for free, so that children in Africa and everywhere else can become fluent in English and that could happen within half a year. Thanks to Dr. Rich…..I wonder if they want some old guys?. .. and that's just for flying drones!! 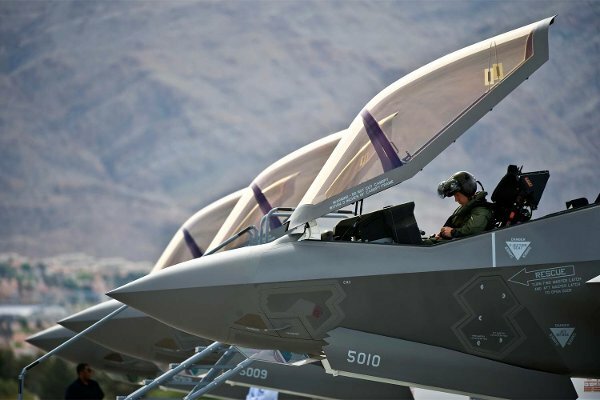 And while the benefit clearly takes aim at fighter pilots, it's also designed to target aviators across a number of platforms, including drones, and for periods of as short as one year. "Pilot retention right now is in a crisis when it comes to fighters, and we're changing around the way we do incentive pay," Air Force Secretary Heather Wilson said in announcing the initiative during a breakfast in Washington, D.C. The bonus "will encourage pilots to stay where they are needed most," she said. The new Aviation Bonus Program is an expansion of Aviator Retention Pay and puts into place the cap authorized for the incentive under the 2017 National Defense Authorization Act, or NDAA. It also details for the first time the "tiered" benefit, with specific amounts based on specialty area. Fighter and drone pilots are slated to receive the highest maximum bonus of $35,000 a year, while special operations combat systems officers the least at $10,000. The Air Force Personnel Center on Tuesday will begin notifying airmen eligible to receive the bonus. Officers have until Oct. 1 to decide whether they want to extend their service, an Air Force spokeswoman told Military.com. "You're only eligible to take one of these bonuses if your service commitment is expiring in fiscal year 2017," the spokeswoman said. Officials said there is a benefit to extending career time sooner rather than later. For example, with fighter incentive pay of $35,000, "if you lock in for, say, nine years, you'll get the bonus" no matter what, the spokeswoman explained. But "if you do just a one-year to the two-year sign up, OK great, you'll get it for those," but an unpredictable budget cycle the following year could torpedo another chance for an annual bonus. The spokeswoman said shorter commitments work best for airmen who are considering a career change but may still be on the fence about when they want to exit the service. While enlisted personnel have begun flying the RQ-4 Global Hawk, they are not currently eligible for the same aviation bonuses, the spokeswoman said. Depending on career field, enlisted bonuses work through a different, re-enlistment bonus system, she said. In September, then-Air Force Chief Master Sgt. James Cody said enlisted drone pilots -- who became eligible to fly the Global Hawk in 2015 -- will qualify for the same bonuses the Air Force plans to offer its officers. But not yet. "There aren't any enlisted eligible, and there won't be for a couple years until they come up on their commitment," the spokeswoman said. Only those officers whose service commitments expire in fiscal 2017 are eligible. Colonels and colonels-select; airmen recalled under the Voluntary Recall to Active Duty (VRAD) Program; inter-service transfers; and rated officers who are medically disqualified from aviation service are also ineligible for the bonus incentive, the service said. The fiscal 2017 National Defense Authorization Act allowed the Air Force to increase aviation retention pay from $25,000 to $35,000 per year and flight pay up to $1,000 per month "as needed to address manning shortfalls and challenges," the service has said in a release. In passing the legislation, lawmakers in Congress instructed the Air Force not to "just take this $35,000 and give it to every [pilot] -- do give it to the people who need to be given" up to that amount, the spokeswoman said. When releasing the fiscal 2018 budget submission last month, service officials said the bonus caps wouldn't be altered but that levels would vary based on career fields. Wilson, the Air Force secretary, said "The bonuses are higher for where the need is most critical." Subject: Aviation Stories From the "Boneyard"
Number:1 Date: 08/10/2017 AFGHANISTAN - GUNMEN SHOOT, KILL 3 FEMALE CONTRACTORS WORKING AT BAGRAM AIR FORCE BASE (AUG 10/TN) TOLONEWS -- In an attack close to the largest U.S. military base in Afghanistan, gunmen have killed three females working at the base and wounded another, officials said, as reported by Tolo News (Afghanistan). The attack took place Wednesday afternoon outside Bagram Air Force Base in Kabul province. The women were shot by two masked gunmen on the motorbike, said local officials, as reported by Reuters. The females attacked were contractors employed to search people entering the base, said a district governor. There was no immediate claim of responsibility. Item Number:2 Date: 08/10/2017 CANADA - AS MANY AS 20 POLICE OFFICERS TO SERVE IN IRAQ OVER NEXT 2 YEARS (AUG 10/CP) CANADIAN PRESS -- The Canadian government has decided to send 20 police officers to Iraq as part of its effort against the Islamic State, reports the Canadian Press. The officers will help re-establish a local police presence in areas liberated from ISIS, including the northern city of Mosul. Much of the area's police infrastructure was destroyed when it was occupied by the terrorist group, noted Xinhua, China's state news agency. The Canadian police officers will deliver training courses for Iraqi police officers and advise on issues such has human-rights and diversity, said the Ministry of Foreign Affairs on Wednesday. There are currently three Canadian police in Iraq, with a fourth to arrive in September. Others are to be gradually sent over the next two years. In late June, Ottawa extended its military mission in Iraq for another two years. Item Number:3 Date: 08/10/2017 CENTRAL AFRICAN REPUBLIC - SENIOR U.N. OFFICIAL SEES 'EARLY WARNING SIGNS OF GENOCIDE' (AUG 10/DEWELLE) DEUTSCHE WELLE -- A top United Nations official says that there are "early warning signs of genocide" in the growing violence in the Central African Republic, reports Deutsche Welle. Stephen O'Brien, the under-secretary-general for humanitarian affairs and emergency relief coordinator, said on Monday that the C.A.R. may find itself in a deeper humanitarian crisis if the international community does not respond to the increasing violence. "Violence is intensifying, risking a repeat of the devastating destructive crisis that gripped the country four years ago," O'Brien told a special U.N. briefing in New York, following his recent trip to Africa The C.A.R. has been suffering sectarian violence since 2013, when Muslim-majority Seleka rebel groups overthrew then-President Francois Bozize. The coup triggered reprisal attacks from anti-balaka militias made up of Christian and animist groups. The "anti-balaka" name is a reference to the machetes wielded by the Seleka groups. In May, around 300 people were killed and 100,000 displaced in violence, the worst since 2013, the U.N. official said. O'Brien said the peacekeeping mission in the C.A.R. is underfunded. Only 24 percent of the US$497 million requested for this year has been disbursed, he said. Item Number:4 Date: 08/10/2017 CHINA - FOLLOWING EARTHQUAKE IN SICHUAN, 3,300 TROOPS JOIN RELIEF EFFORT (AUG 10/CMO) CHINA MILITARY ONLINE -- The Chinese military has deployed thousands of troops to assist the rescue effort following a deadly earthquake in Sichuan province, reports China Military Online. The quake struck Tuesday night in Jiuzhaigou county. A least 19 people were killed and more than 240 injured, said officials cited by Xinhua, China's state news agency. By Wednesday evening, local time, the People's Liberation Army had deployed more than 3,300 troops and as many as 200 vehicles and machinery, including nine aircraft. They evacuated more than 10,000 people. Transport aircraft conducted aerial surveillance and delivered relief materials, according to the military. Five remote sensing satellites were also allocated. The armed police also deployed 1,958 troops and 105 sets of equipment. Those deployed included 80 members of a joint earthquake emergency rescue team. The team has personnel from a brigade of the 82nd Combined Corps, medical workers from the Armed Police General Hospital and experts from China Earthquake Administration. Item Number:5 Date: 08/10/2017 EGYPT - NAVY TAKES DELIVERY OF 2ND GERMAN SUBMARINE IN KIEL (AUG 10/WAM) EMIRATES NEWS AGENCY -- The Egyptian navy has received the second of four Type 209/1400 submarines ordered from Germany, reports the Emirates News Agency (WAM). The S42 was delivered Tuesday from shipbuilder ThyssenKrupp Marine Systems in a ceremony in Kiel. The submarine is scheduled to be commissioned within days. The first boat in the class, S41, was delivered in December 2016 and commissioned in April. The subs have a range of 11,000 nm and a top speed of 21.5 knots. They are armed with missiles and torpedoes. Item Number:6 Date: 08/10/2017 FRANCE - COUNTERTERRORISM INVESTIGATION OPENED FOR VEHICLE ATTACK OF SOLDIERS (AUG 10/F24) FRANCE 24 -- French counterterrorism officials say they have opened an investigation into Wednesday's attack outside Paris. French police arrested and are holding a man suspected of driving a car into a group of soldiers in a Paris suburb, reports France 24. A BMW struck and injured six soldiers in the northwest Levallois-Perret region of the city. The driver then took off, said police. The vehicle believed involved was spotted on a motorway, leading to an hours-long police chase. Police fired, injuring the suspect as well as an officer hit by a stray bullet, reported the Guardian (U.K.). The unarmed man war reportedly hit by five bullets; he was described as being in serious condition. One police official said the suspect is an illegal North African immigrant in his 30s. Another account described him he was an Algerian with French residency papers. Following the incident, police searched a building in the Paris suburb of Bezons believed to be linked to the attacker. A investigation is underway, said Interior Minister Gerard Collomb. Item Number:9 Date: 08/10/2017 ISRAEL - ARMY TO ACCELERATE UNDERGROUND WALL PROJECT AROUND GAZA (AUG 10/AFP) AGENCE FRANCE-PRESSE -- The Israeli army says it is moving forward with plans to build an underground wall around the Gaza Strip as part of an effort to block tunnels, reports Agence France-Presse. Attack tunnels were used by Hamas during the 2014 Gaza war. They are also used to smuggle goods from Egypt. The army is going to accelerate the construction of the wall in the coming months, said Maj. Gen. Eyal Zamir on Thursday. Construction could be complete in two years, he added. The wall will be made up of concrete plans and sensors. It is expected to cover 40 miles and be around 20 feet high and 130 feet deep. The price tag is estimated to be around US$834 million). The wall will be built in Israeli territory parallel to a border fence run by Hamas, said Construction Minister Yoav Galant. Item Number:11 Date: 08/10/2017 JAPAN - DEFENSE WHITE PAPER WARNS OF THE THREATS FROM N. KOREA, CHINESE ACTIVITIES (AUG 10/JIJI) JIJI PRESS -- The Japanese Defense Ministry has submitted its annual report to the Cabinet, reports the Jiji Press (Tokyo). Approved Tuesday by the Cabinet, the Defense of Japan report describes North Korea as a new level of threat and devotes a large section to Chinese military activities around Japan. On July 4, North Korea test-fired what was likely an intercontinental ballistic missile and could soon deploy a solid-fuel ballistic missile capable of hitting Japan, the report says. The document also expressed more concern about Pyongyang's nuclear program than in previous years, noting that the North may have already produced nuclear warheads and achieved the miniaturization of nuclear weapons. The report warns that China may increase its naval activity in the Sea of Japan. Air and naval forces have been increasing their operations over the East China and South China seas, with regular activities around the disputed Senkaku Islands, the study says. (The islands are known as the Diaoyus in China.) In fiscal 2016, which ended in March, Japanese aircraft scrambled a record 1,168 times, reflecting an increase in the number of Chinese military aircraft flights near Japan, says the white paper. The report also takes note of increased Russian military activity on the Kuril Islands, which the Soviet Union annexed in the final days of World War II. Item Number:12 Date: 08/10/2017 NORTH KOREA - AMID ESCALATING, PYONGYANG THREATENS TO STRIKE GUAM (AUG 10/NYT) NEW YORK TIMES -- As tensions rise, officials in the U.S. and North Korea have been exchanging threats in recent days, reports the New York Times. On Tuesday, President Donald Trump threatened to unleash "fire and fury" against North Korea if the regime in Pyongyang put the U.S. in danger. Several hours later, on the military in North Korea said it was considering a plan to launch four intermediate ballistic missiles close to the Guam. The U.S. territory – about 2,100 miles from Pyongyang -- is home to Andersen Air Force Base. Four Hwasong-12 missiles could be fired "in order to interdict the enemy forces on major military bases on Guam and to signal a crucial warning to the U.S.," according to the state-run Korean Central News Agency (KCNA). Such missiles would fly over Japan. The plan will be presented to Kim Jong Un by mid-August, according to the report. On Wednesday, U.S. Defense Secretary Jim Mattis issued a statement that said the actions of North Korea "will continue to be grossly overmatched by ours and would lose any arms race or conflict it initiates. The DPRK [Democratic People's Republic of Korea] should cease any consideration of actions that would lead to the end of its regime and the destruction of its people," he said, as cited by USA Today. South Korea's military officials downplaying the situation, saying there was "no unusual movement related to a direct provocation," reported CNN. Item Number:17 Date: 08/10/2017 USA - DOD TO SEND 100 MORE MARINES TO AFGHANISTAN, RESPONDING TO REQUEST FROM GENERAL IN HELMAND (AUG 10/MILTIMES) MILITARY TIMES -- The U.S. is beefing up its forces in Afghanistan with as many as 100 more Marines, say defense officials, as reported by the Military Times. The deployment of advisory forces to Afghanistan's southern Helmand province, was first reported by NBC News. The contingent will be filled by Marines already deployed to the U.S. Central Command area of operations, a spokesman for the command said on Tuesday. The Marines will be deployed "for a short period of time to assist Marines already there" and assigned to Task Force Southwest, said a spokesman for the NATO Resolute Support mission. U.S. advisers are primarily attached to Afghan combat units to help with ground tactics and airstrike coordination. The deployment is a tactical adjustment and not part of the potentially larger deployment being considered by the Trump administration, said officials cited by ABC News. The request for more forces was reportedly made by Brig. Gen. Roger Turner, the top Marine in the province. Item Number:20 Date: 08/10/2017 VIETNAM - S. CHINA SEA DIFFERENCES LEAD TO CANCELLATION OF ASEAN MEETINGS BETWEEN VIETNAM, CHINA (AUG 10/SCMP) SOUTH CHINA MORNING POST -- Tensions were evident between Vietnam and China at the foreign ministers meeting of the Association of Southeast Asian Nations (ASEAN) earlier this week in Manila, reports the South China Morning Post. A scheduled meeting on Monday between the foreign ministers of the neighboring countries was cancelled. The government in Hanoi has been Beijing's most vocal regional opponent concerning disputed claims in the South China Sea. Vietnam urged ASEAN to insist that a code of conduct over disputed waters, particularly in the South China Sea, should be legally binding. Beijing opposes such a move. Hanoi also pushed for a specific reference displaying concerns for China's "extended construction" in the region. Observers anticipate more friction between Vietnam and China as Hanoi engages other regional powers to balance the ongoing shift in the Philippines towards Beijing.